I contacted Emerald Heritage in Ireland and was astonished at the results I would get from this amazing company! Emerald Heritage’s land is situated in Glendun, Ireland, which is seventh of the 9 famous Glens Of Antrim and officially designated as an Area Of Outstanding Natural Beauty in Ireland. The Glens Of Antrim are one of the Ireland’s gems, where rugged, awe-inspiring coastline fuses with deep, hushed valleys. Find out more about the location. 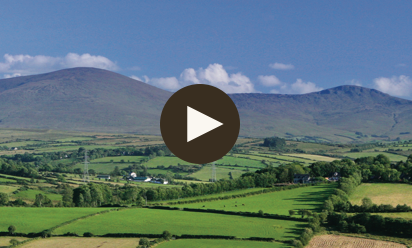 As an certified Irish Landowner, you can rightly refer yourself as a Squireen. An Irish ‘Squireen’ means Irish Landowner and translated into English means ‘Squire’ (male) or ‘Squiress’ (female). 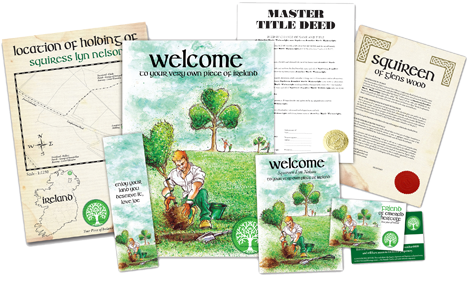 A personalised Master Title Deed will be included in your welcome pack along with official legal deed and documentation of land ownership. Each plot purchased saves it from the developer’s digger. We will also re-invest your money, buying up more land, planting more trees, and restoring historical buildings under threat of demolition. We will allow woodland to regenerate naturally, providing a safe haven for wildlife (and people) in perpetuity.